For Kathleen, ballet has been a major part of her life from the age of thirteen when she made her debut as a little boy and as a snowflake in the Nutcracker ballet. The die was cast; it was to be the focus of her life. She sought out the finest teachers and developed an extensive background in classical ballet training. Her teachers included ballerina Ekaterina Maximova and premier danseur Vladimir Vasiliev, former stars of Moscow's Bolshoi Ballet and the international ballet stars Anna-Marie and David Holmes, who trained and danced with the legendary Kirov ballet in St. Petersburg. Kathleen has performed in many Nutcracker ballet productions since that debut as a boy and a snowflake. She has performed almost every featured role. She has danced in Nutcracker productions in the states of Tennessee, Ohio, Alaska and Hawaii. Kathy frequently has been called on to assist in the staging of this perennial Christmas favorite on numerous occasions, utilizing local talents. Kathy’s classical background has been well utilized bringing her to audiences numbered in the thousands. She has appeared professionally as a principal artist in many of the full length Russian classics including: Swan Lake, Paquita, Nutcracker, Sleeping Beauty, La Bayadere and in the title role of Prokofiev's Cinderella. She has brought her interpretations of these classics to the enjoyment of audiences in Italy, the United States, and Canada. A love of the classics, the rich history, the traditions of ballet - these are the source of inspiration for Kathleen. As a dedicated and outstanding teacher, she brings to her aspiring young artists this important link to the past. It is with the knowledge and personal enjoyment that what she is imparting on this next generation is an important link to the future. David Holmes passed away May 4, 2013. David's passion for teaching, directing and producing has been passed on to us, and we will be able to continue his mission! 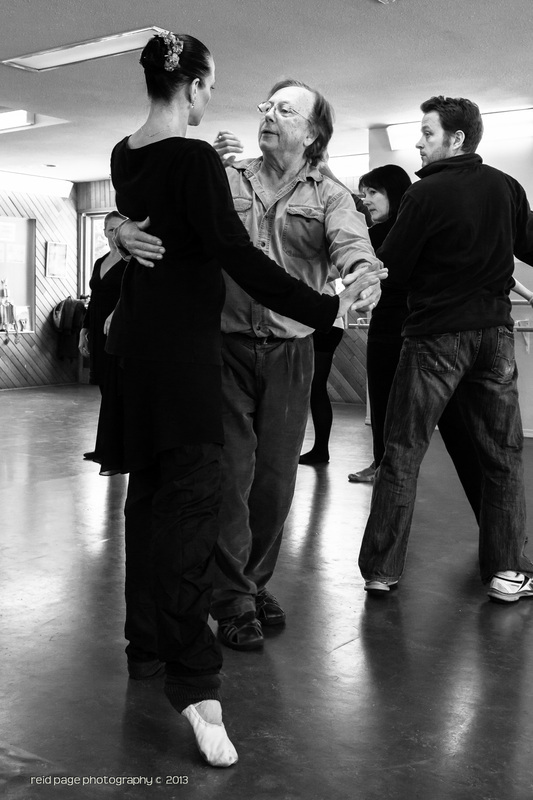 Born in Vancouver Canada, Mr. Holmes’ professional dance career began with the Royal Winnipeg Ballet. 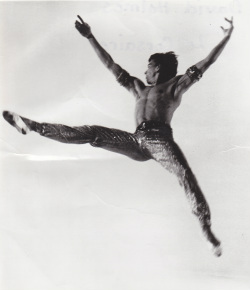 Within two seasons with the company his talents were quickly recognized by visiting artists from Russia’s famed Kirov Ballet resulting in an unprecedented invitation by the Soviet Minister of culture for him and his former wife Anna-Marie to dance with the legendary Kirov Ballet in Leningrad, now once again, St Petersburg. They were the first North Americans to receive such a prestigious invitation. While in Russia Mr. Holmes was trained and coached by principal teachers Alexander Pushkin and Natalia Dudinskaya. The roles taught by these famous teachers would ultimately earn Mr. Holmes a worldwide reputation for his virtuosity and interpretation of the great Russian classics. Mr. Holmes’ classmates and contemporaries during this unique period of the Kirov’s history included: Rudolf Nureyev, Mikhail Baryshnikov, Valery Panov, Natalia Makarova, Yuri Soloviev and others less known in the west but no less great artists. Mr. Holmes regularly appeared with the National Ballet of Holland, one of Europe’s largest classical companies. He continued to increase his appearances as Principal Artist throughout the world’s capitals and major theaters. Many contemporary works were created on him by internationally recognized choreographers such as: Van Danzig, Lefebabre, Macdonald, de Mille and Corelli. However, his reputation had been established for his interpretations of the major classics. Guest appearances in these works brought him regularly to cultural centers in over 30 countries: the Berlin Staats Oper, Royal Albert Hall, Royal Festival Hall, Teatro Colón, Covent Garden, the San Carlos; are but a few theatres that have acclaimed this artist. Mr. Holmes was featured in several notable dance films including the international award-winning documentary, Tour en L’air directed by National Film Board of Canada’s Grant Munro. Acclaimed director, Norman McLaren, also of the National Film Board of Canada, created the special effects short, Ballet Adagio, on Mr. Holmes. It was the winner of several prestigious Grand Prix. These films have brought Mr. Holmes to millions of television and cinema viewers around the world. Other films include the feature length Don Juan and The Chinese Nightingale, both directed and choreographed by Corelli. The world of television is one that is familiar to Mr. Holmes, having frequently been featured on European and North American networks, including CBC, BBC, ABC, RAI, Eurovision, TV Portuguese, PBS etc. Mr. Holmes was engaged by BBC London to host a series of Bolshoi Ballet performances recorded live from Covent Garden Opera House in London. Ballet icon, Bronslava Nijinska, chose Mr. Holmes to recreate on him a series of her famous works from the Diaghilev Era. Shortly before her death she had reset Les Biches, Brahms Variations, and Aurora’s Wedding on him. Much of this was filmed by the National Film Board of Canada to be used in a forthcoming documentary on Nijinska. Mr. Holmes’s reputation as a teacher and exponent of classical ballet is equal to his reputation as a performer. While in Russia Mr. Holmes completed the only film documentation in history of the entire eight year training syllabus of the Vaganova Kirov Academy. It is a monumental work that is the definitive record of classical Russian schooling. It represents the culmination of 250 years of development of the Imperial Academy. The eight and a half hour visual library is used as reference by major academies and ballet companies around the world. These include The Royal Academy of Dance in London, the Lincoln Center Library of Performing Arts in New York, The Australian National Ballet, The Royal Swedish Ballet, Les Grands Ballets Canadiens in Montreal and Dance Theater of Harlem New York to mention a few. On a personal invitation by Dame Margot Fonteyn, Mr. Holmes accepted the post of Director of the Royal Academy’s Comparative Technique Research Program. He has given lectures and teaching seminars throughout the world on invitation by leading dance organizations and government ministries of culture. For six years, Mr. Holmes conducted an advanced training academy “International Academy of Dance Costa do Sol” in Estoril Portugal. Students were selected from many countries during Mr. Holmes’s international tours. Each season culminated in a Gala evening of Ballet. This became the foundation of the Lisbon Performing Arts Festival. From a single concert hall the festival grew to the simultaneous usage of the San Carlos Opera house, the San Luiz Opera house, the Coliseu Popular Theatre and two concert halls featuring ballet, opera, musical comedy, mime and solo concerts. As Mr. Holmes’s international career matured he became increasingly involved in the business and management side of the performing arts including enterprises that directly or indirectly supported the arts. David Holmes and Associates, an international touring agency, was established in London. His organization introduced the Dance Theater of Harlem from New York to British and European audiences. A three week ‘sell out’ at the Sadler’s Wells Theater in London kicked off a two and a half months summer tour of the major festivals from Scandinavia to Spain performing to capacity crowds. Other American companies introduced to European audiences included Adam Darius Mime Theater, the Larry Richardson Dance Co., Les Ballet Trockadero de Monte Carlo and The Great American Dance Machine. Mr. Holmes negotiated an exclusive distributorship of Dance Center of London’s Active wear and Balletique of England’s Ballroom and specialty foot wear for the US and Canada. Its headquarters and show room was located on Chicago’s “Miracle Mile”. Sales of the Balletique line grew to a point that the London factory had difficulty supplying the North American market. This required Mr. Holmes to open an American based shoe factory in Tennessee. The American enterprises were requiring increasing attention. A residence was established in Oak Ridge Tennessee. Subsequently an academy “Performing Arts Dance Centre” was established in the same city. This attracted career track students from throughout the United States who wanted to study under him. Shortly after, the Tennessee Festival Ballet was established serving Greensboro, Knoxville, Chattanooga, Nashville, Jackson and Memphis with two tours annually featuring the major classics. Concomitant with the tours Mr. Holmes developed unique schools outreach program bussing grade school children to special morning performances. For the first time they were introduced to full production uncut performances of the great classics in a true opera house setting. The program was such a success that it grew to an attendance in excess of 60,000 children annually. The outreach project was duplicated in the State of Ohio when Mr. Holmes received a request from the State’s Governor, Governor Celeste to assist him in his Arts 2000 Program. The Program was an initiative with the Soviet Union’s “Glasnost” period to develop an arts and business exchange program with the State of Ohio. Mr. Holmes facilitated several joint ventures between Ohio corporations and Soviet State entities. In return he negotiated with the Soviet Ministry of Culture to bring Russian theater organizations to Ohio for exclusive tours to the States’ major urban centers. The most notable was the first time ever in its 200 year history a visit of 100 artists from the Vaganova Academy “Children of Theater Street”. Ohio audiences were treated to an unprecedented preview of the young artist who dominates the world of ballet today. It was a cultural coup for the State of Ohio. In 2002 Mr. Holmes decided to curtail his travels and spend more time raising his two young daughters by his second wife Kathleen Holmes, a former ballerina of The Tennessee Festival Ballet. He and his family now reside in the Sunshine Coast where he is working with a Canadian production company to re-release the Vaganova Syllabus Visual Library in DVD digital format. This will make this important work affordable by the smaller dance schools and academies worldwide through the internet. Ballet Adagio - A slow-motion study by Norman McLaren of the pas-de deux adagio, one of the most exacting and difficult dances of classical ballet. A ballet originally choreographed by the Russian ballet master Asaf Messerer is performed for this film by the internationally known Canadian pair, David and Anna-Marie Holmes, to the music of Albinoni's Adagio. A film to heighten the aesthetic appreciation of classical ballet and to afford observation of the technique and mechanics of the adagio movements. Directed by Norman McLaren. 1971.